Be Protected by HFC-227ea and FK-5-1-12 Clean Agent Systems. Eco7® fire extinguishing effectiveness is increased by 30 times more effective than using water alone. Preparation is essential in high-risk environments for complete protection. We provide designs, supply, installation and testing of its various systems. Applicable for Fire Suppression System. We have a complete line of Pre-Engineered and Engineered Clean Agent Fire Suppression Systems. Programs for New Innovative Fire Extinguishing Systems are on-going. 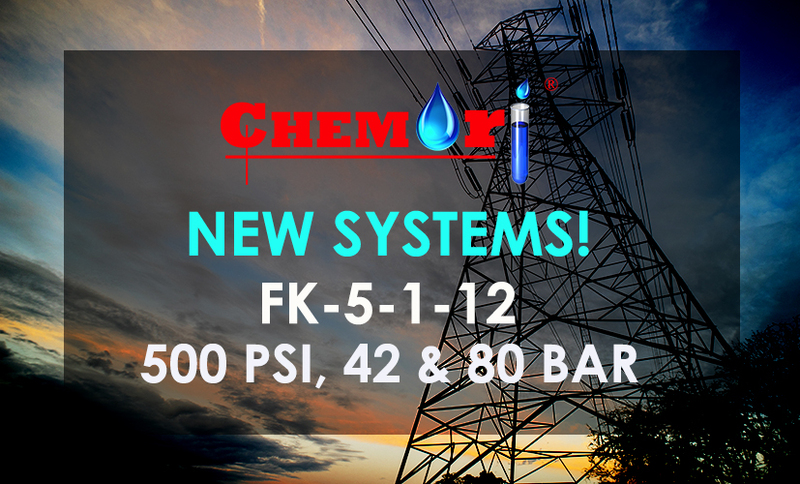 ISO Tanks, Pressure Vessels, Storage Tanks, and Precision Valves complying with International Standards & Approvals. We have worked with Underwriters Laboratories (UL) and Factory Mutual Approvals (FM) to provide excellent fire extinguishing system solutions. "We offer a wide range of fire extinguishing system for different situations. Each product has its own functional design intended to provide solutions in combating the fire."